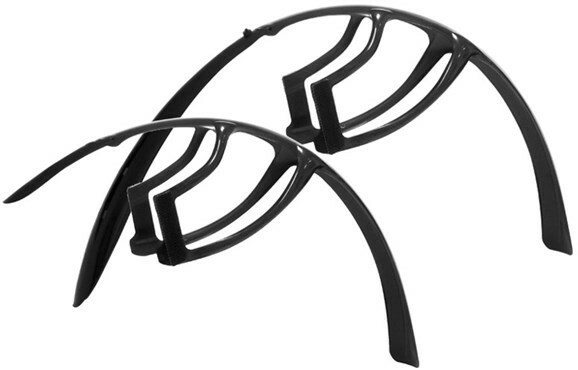 Mudguards are essential during the autumn and winter months. They prevent dirt and water spraying up from your tyres onto you and your bike, keeping you cleaner and dryer on your ride. 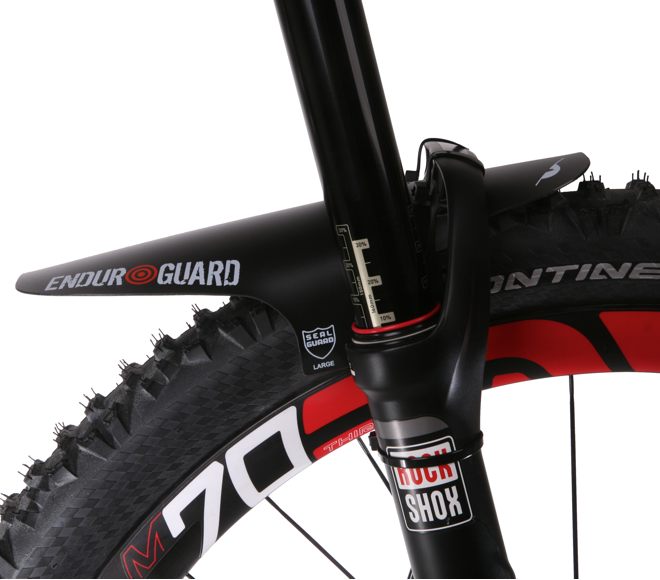 In this guide, you’ll find out more about the types of mudguard available for your bike. 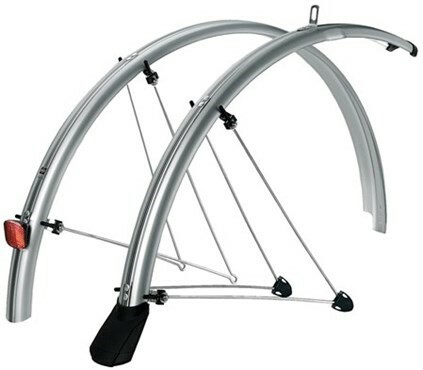 Full-length mudguards offer the most complete protection against tyre spray. They provide the greatest amount of coverage over the wheel, minimising areas where the spray can escape. They’re popular on road and hybrid bikes, and are often pre-equipped on touring bikes. If your bike has the required eyelets to fit them (usually found on the frame & fork near where the wheel axles are mounted), full length mudguards provide the most stable and reliable protection available. They’re available in multiple widths and diameters to suit lots of different bikes, and (where eyelets are present) can often be used on bikes with front suspension forks as well. If your bike is without mudguard eyelets, as is often the case on many performance road bikes, you can still be protected by using clip on mudguards. These mudguards often use a rubber or plastic clip to secure the front mudguard to the fork and the rear mudguard to the seat stays. Due to clearance & strength issues, clip on mudguards aren’t always able to offer full-length wheel coverage. Make sure you check the amount of clearance of your chosen mudguard before buying as many clip on mudguards are only available in one size. Because they can’t rely on sturdy mounting eyelets, clip on mudguards are more sensitive to incorrect widths, and can rub and rattle if they aren’t the correct size. Mountain bike style mudguards aren’t designed to cover as much of the wheel as full-length and clip on mudguards. They’re designed to sit close to the tyre in just the right place to prevent the worst of the dirt being thrown up into your face, whilst protecting your fork and rear shock from being impacted. MTB rear mudguards are often mounted on the seatpost and are easily adjustable. Remember, if you ride a bike with full suspension, make sure that your mudguard will stay clear of the tyre when going over bumps.